Lava moving west from Fissure 7 on Leilani Avenue on Sunday May 27. Lava from Hawaii’s erupting Kilauea volcano has reached the Puna Geothermal Venture plant, covering a well and threatening another. At the same time, fast-moving lava flows are now threatening nearby communities, prompting new evacuations. Residents have been worrying about such a scenario since the plant went online nearly three decades ago. Over the years, PGV owners have faced lawsuits questioning its decision to place the plant so close to one of the world’s most active volcanoes, as Reuters reports. 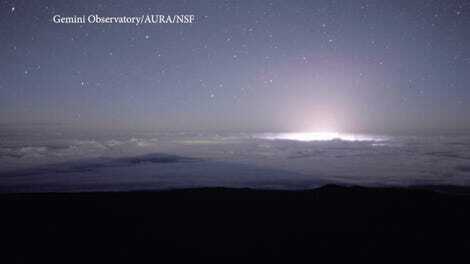 The 38-megawatt PGV facility provides about 25 percent of power to the Big Island. Fissure 7 on Sunday May 27. 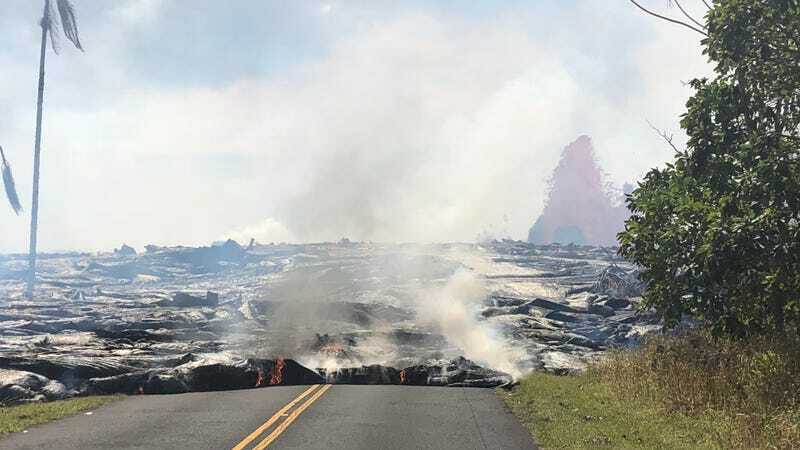 Meanwhile, sections of the nearby Leilani Estates community had to be evacuated owing to fast-moving lava from Fissure 7, one of 24 cracks that have opened up since the eruptions began on May 3. 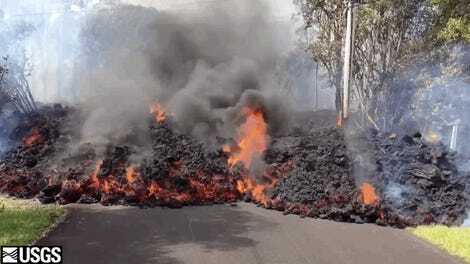 At 7:00 pm local time yesterday, the United States Geological Survey (USGS) issued a statement warning that “a large perched lava pond created by lava flow from Fissure 7 breached, creating a fast-moving lava flow that ran down Leilani Avenue and Luana Street in Leilani Estates.” The same fissure is spewing lava at heights reaching 150 to 200 feet (45 to 60 meters), and generating a spatter rampart that’s now 100 feet (30 meters) tall. Residents were told to expect power and water interruptions, and that they should be prepared to evacuate with little or no notice. For some, that notice came a mere 45 minutes later, with the USGS declaring at 7:45 pm, “Leilani Estates residents on Nohea St and Luana St between Leilani Ave and Kahukai, and Kupono Street between Malama Street and Leilani Avenue need to evacuate immediately due to a fast-moving lava flow from Fissure 7.” Fleeing residents were told to seek shelter at nearby community centers. 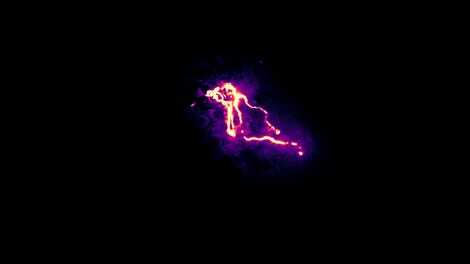 The USGS is also warning of new ground cracking, and possible new outbreaks of lava flows. An evacuation plan is currently in place should Highway 130 be covered in lava, a development that would sever the community from the rest of the Big Island. US Marine Corps stationed at a base near Honolulu have a pair of CH-53E Super Stallion helicopters ready should this happen. Adding insult to injury, the Pacific Trade Winds are expected to diminish today, expanding the area impacted by vog—a noxious haze comprised of sulfur dioxide and other volcanic gases. Another day, another batch of headaches. Hopefully, this will all end soon.